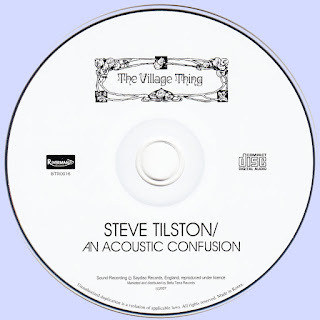 "Lovingly remastered" is a phrase in danger of becoming a clich,, but in the case this re-release of Steve Tilston's first album, made in 1971, it is particularly apposite. Scenesof are based in Maine, USA, but they obviously share the unconditional admiration of these songs that Ian A. Anderson's Village Thing label displayed in pressing the original vinyl. And make no mistake, the ten songs of "Acoustic Confusion" (plus a couple of by-now obligatory "Previously Unreleased" studio demos from 1978) add up to what was probably described at the time as an extremely enjoyable listening experience. Still is! Ranging from voice and guitar solos to all-systems-go harmonica, string bass, violin and extra guitar 'n' vocal pieces, "An Acoustic Confusion" shows surprising maturity in all three departments of our hero's chosen profession. The songs contain true poetic insight, the singing is assured and the guitar-playing, even then, is a source of wonder. As he hints at in the typically self deprecating insert-notes (worth the price of the album alone), time has not been kind to a couple of songs. "Peel Street" and "Rock and Roll Star" contain the kind of over-indulgence that twenty-nothings the world over are famous for, but there is compensation in spades. "Simplicity" could stand comfortably with his current work, while "Normandy Day" manages to absorb influences from Bob Dylan through to Nick Drake, distil them all and produce pure essence of Tilston. As Steve's work has progressed, it has revealed successive layers of creativity, inventiveness and integrity. There is nothing on "An Acoustic Confusion" to cause embarrassment, and a great deal to be proud of. Wouldn't it be great if Scenesof were working on the difficult second album right now? 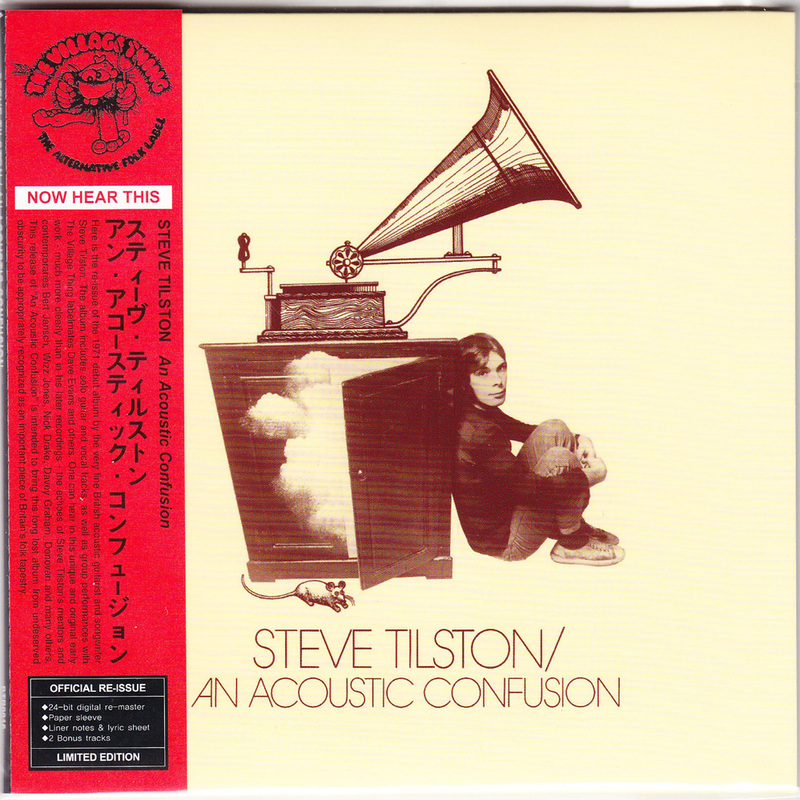 Steve Tilston released a very nice and acclaimed s/sw album back in 1971 called "An acoustic Confusion". I especially liked the most melancholic romantism involved. I was very curious for his newer releases. Hearing this release was far above all expectations. I never expected a musician to gain so much in magic he already had, for magic is something unique which is rarely repeated or ever regained. This album not only is very exceptional, it even sound better or at least slightly matured comparing his debut album. It has reminiscences to Nick Drake, but even more likely you can compare it (-this is : the production and the arrangements, and the colour of the voice-) with the acoustic period of John Martyn, with the additional development of a wider range of guitar styles. 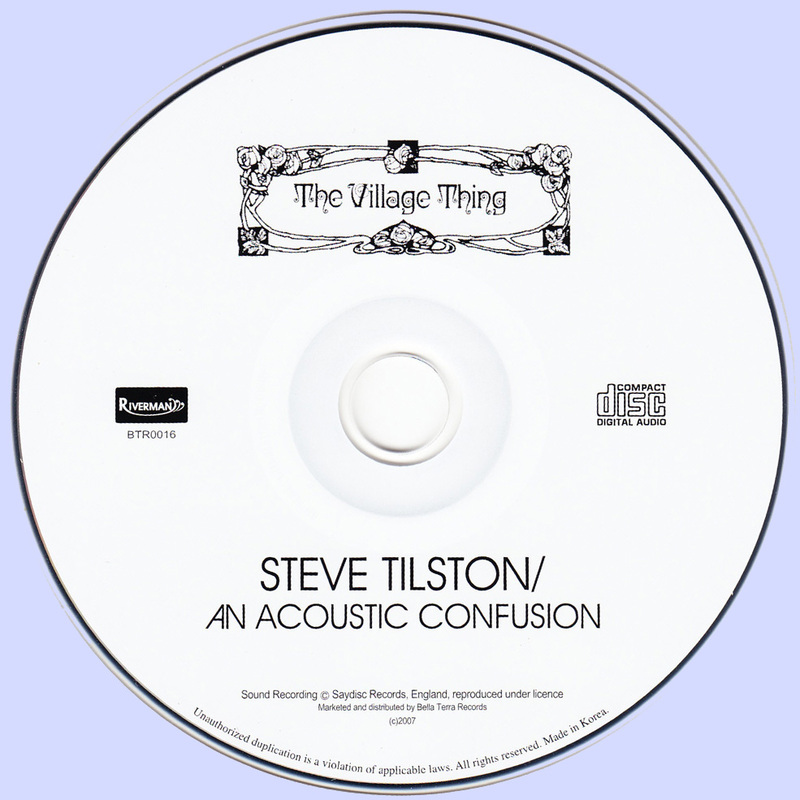 "Tse Tse Fly Shuffle" as a guitar instrumental, contains finger picking from the same level as Bert Jansch during his Jack Orion period or Leon Kottke during his debut album. The album ends with an essential bonus track of 22 minutes, "Rhapsody", an interesting, beautifully composed and arranged Celtic folk suite, making this album even more recommended and a must to dig out. A letter from John Lennon to Steve Tilston in 1971, who actually received it 34 years later, inspired Hollywood screenwriters for the Danny Collins movie with Al Pacino in the main role. Φανταστικο αλμπουμ! Ευχαριστω που μου τον εμαθες! Να'σαι καλα!